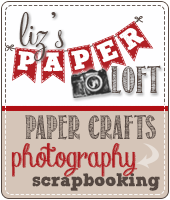 Liz's Paper Loft: My Creative Time's November Release ~ Day 3! Hello and happy Wednesday! 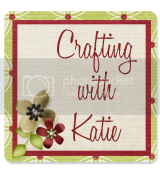 Can you believe that we are half way through the week and half way through My Creative Time's November Release Sneak Peeks? Hasn't it been just FABULOUS so far! So far we've had the "manly" stuff, well...now it's time to break out the truly "girlie" stuff!!! Today's set (the girls) that we are featuring, were drawn by Emma's brother Mark Villar! He's an amazing artist! My projects today are all about party favors! 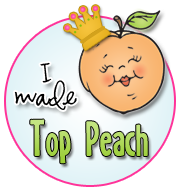 I made one using Emma's new Lollipop Die and the other with the stamped "classy girl"! 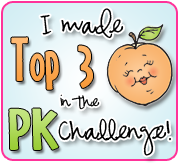 I just couldn't stop with one project!!! The great thing about this Lollipop die, is that you can use it for other things, simply add candy to a cello bag and tie! These are so cute Liz. Love it. I love both of your creations today. I love the idea of adding some nail polish and supplies for a teen for a cute little gift. The candy/lollipop holder is a genius idea! 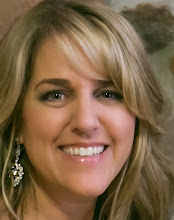 Hi liz, I love both of your projects, great job. Love the party favor idea! Who wouldn't like one of those??? Not gonna lie would like to win these!!! The favor with the clock is to die for. I love it. Great projects. I love the little bags and the cute little Cheers projects. THanks for sharing. Liz, your party favors are ADORABLE!!! So super cute! I think I may have to lift your clock idea and make cake pops for New Year's in there! PERFECT Party Favors, Liz! I love the spa package (complete with Smarties... awesome)! And what a great idea to use cello bags with 'non-lollipop' candy in the Lollipop Holder Die. Thanks for sharing!!! Great "girlie" stuff, today! 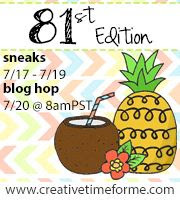 Enjoying the blog hop and loving your party favors!! amazing!! love them and the New Year's little goodie is too cute!! thanks for sharing! This is a great idea for girly party. The color are great! I love the New Year's clock. What a great idea. Amazing party favors! Great job! These are great! Love the New Year's theme. I used it for Thanksgiving too :) Great die!!!! Super cute goodies! Very creative! Thanks for sharing! These are FABULOUS!!! Love the colors you used too. Both of these are absolutely adorable! TFS. These are super cute! I can't wait to see the lollipop die! Fantastic card and lollipop holder. I just love all the sentiments so far. Love what you did with the lollipop holder. Love love love this release. 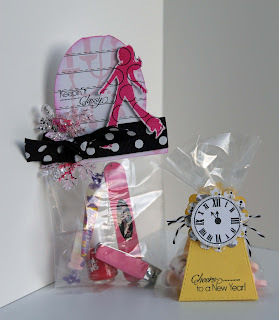 What super cute gift bags and I just LOVE New Years favor with the loli pop holder! This is such a great die! Great projects...this is a great girly set and Emma's Brother is very talented. Love these! This set is sooo super girly :) TFS!! All your projects are super cute. I am loving these new stamp sets. Love what you did with the lollipop die!!! Love the lollipop die idea! Cute! Cute cute projects. Love them!! I just love how your gift bags came out. Looking forward to this release. Great projects. Im loving how much you can do with the stamp and die sets.! Love your projects. Loving those stick pins. Very creative idea as a favor. I WILL SAY IT AGAIN, THIS STAMP SET WILL BE THE TALK OF THE SCRAPBOOKING WORLD. AMAZING LOVE IT!!! Great party favors! Very Cute! Amazing projects, I really love the colors you used too! They are perfect party favors! Just love your party favor gift bags!! They are wonderfully amazing and they are beautifully put together!! These are awesome projects. You must love using Emma's products!!! These are just so cute! TFS! Terrific job Liz! Love the new releases! Thanks for sharing and inspiring. Both projects are wonderful!!! LOVE the colors you used on both of them!!! Great projects! 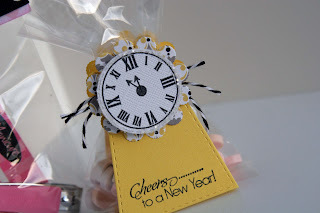 Love that you used the clock face on the lollipop holder, never would have thought of that! Thanks for the great idea!! Great Job on your project love that you stamp the sentiment with the clock! Absolutely love the gift bag with the topper. Please don't mind if I scraplift. I love the gift bag topper and the lollipop holder. Thank you for sharing. Wow! I can't believe how creative Emma is!!! :) She keeps coming out with the best stamps & dies! And you did such a WONDERFUL job showcasing them!!!!!! !